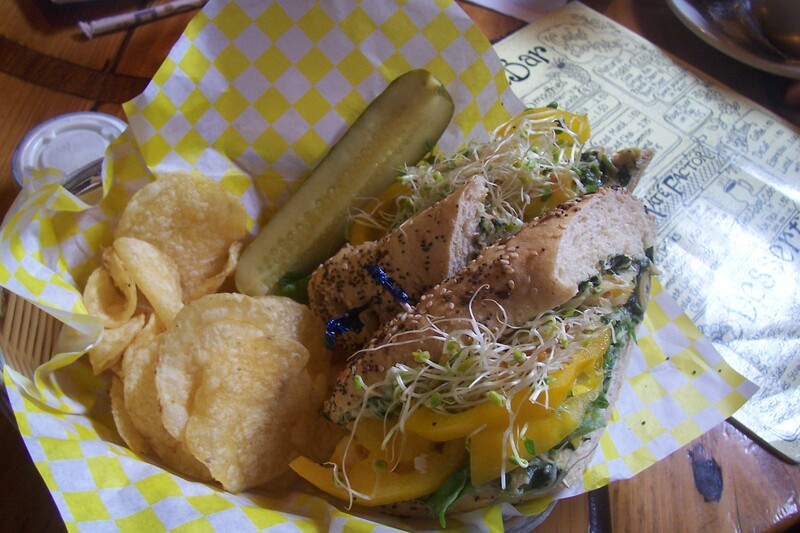 One of my new favorite places is Yellow Deli in Chattanooga, Tennessee. For one thing, it’s just fun to say. 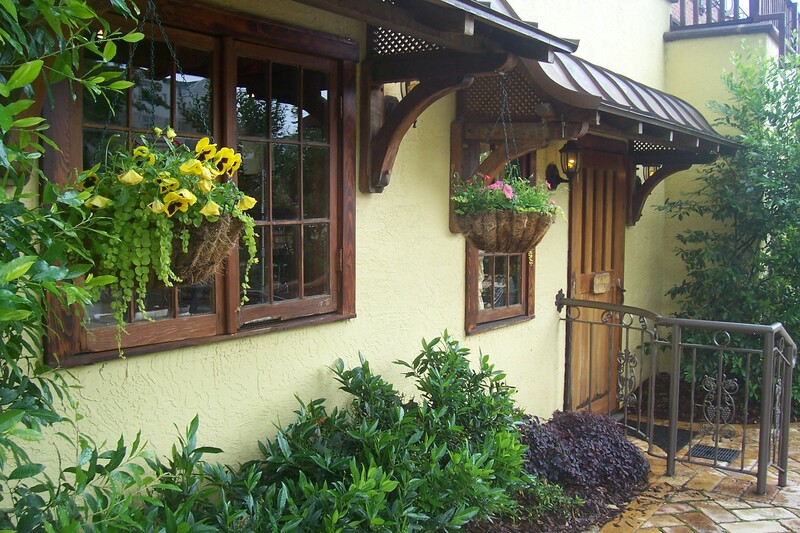 Go ahead — try it right now: “Yellow Deli.” See? You can’t say it without smiling. And you can’t eat there without smiling, either. 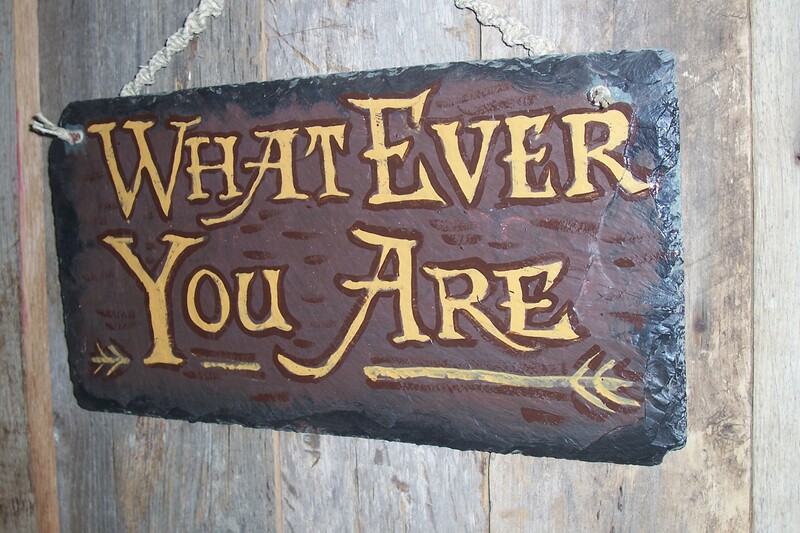 This is the place to, literally, feed your inner hippie. I mean, I’m all for any restaurant that lists “sprouts” as an add-on to your sandwich, offers homemade granola for breakfast and would rather pour you a cup of mate instead of coffee. (The very thought of “mate” instead of coffee horrifies me, but, you know, I celebrate diversity.) Think Bob Dylan meets Sgt. Pepper and then Alice Waters invites everybody over for tea with her friend Arlo Guthrie. Or maybe that’s just my own personal fantasy. But there’s definitely a 1960s-70s vibe here, and there’s a reason for that. A Chattanooga couple founded the Yellow Deli in 1973 as “a place where people from all walks of life could come and touch a living demonstration of God’s love in those who served them.” (http://yellowdeli.com/) Things got a little rocky at times — read both the “History” portion of the website and the Wikipedia entry for varying accounts — but there’s no denying that the Yellow Deli in Chattanooga serves fresh and delicious food along with a warm and casually funky atmosphere. 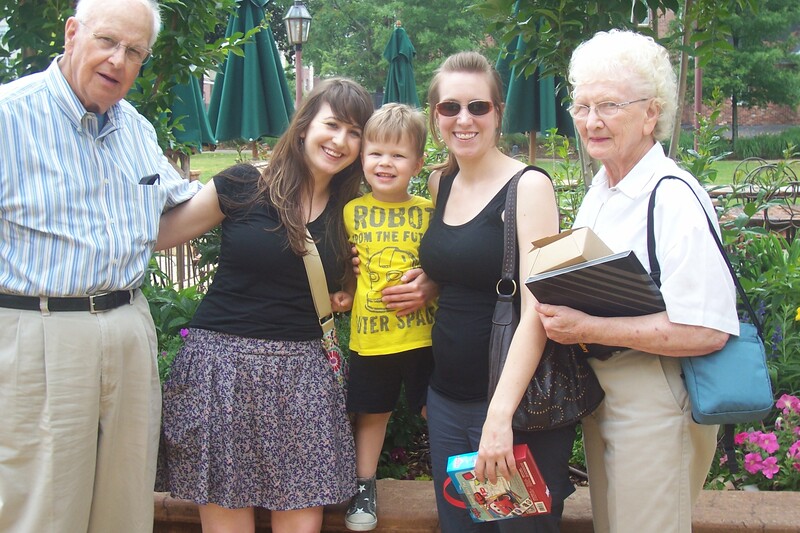 Both my 76-year-old parents, my 20-something-year-old daughters and my three-year-old grandson Capt. Adorable loved it — and there aren’t many places where we all feel at home. The inside is meticulously clean — an admirable feat considering all the rustic wood and handmade touches — the outside is gorgeously landscaped and the whole place is like getting a hug from your best friend. If your best friend could make a Hibiscus Fruit Cooler with sweet-potato pound cake. And don’t look for “Men” and “Women” signage when it comes to the restrooms. I think the Yellow Del’s all-inclusive sign pretty well sums it up. This entry was posted in bathrooms, family, food, history, Tennessee, travel and tagged Alice Waters, Arlo Guthrie, Bob Dylan, Chattanooga, Chattanooga Tennessee, eating out, food, history Yellow Deli, restaurants, Tennessee, travel, Yellow Deli by Coffee with Cathy. Bookmark the permalink. It sounds like a great place. Nice to find something that appeals to four generations. You are so right, Carolyn! Well said.